War and military life is not just always about moving from one place to another, completing your tasks and prepare for the next. It is a very dense and intensive part of the soldiers life, everyone who has served in the army or been in the military can guarantee that. Not burning yourself out and loose your energy and spirit, you need to focus on your feelings and thoughts as well as the life outside the military. Most soldiers uses every spare minute to recapture oneself and focus on the parallel life everyone has in the role of human being, as well as a soldier. 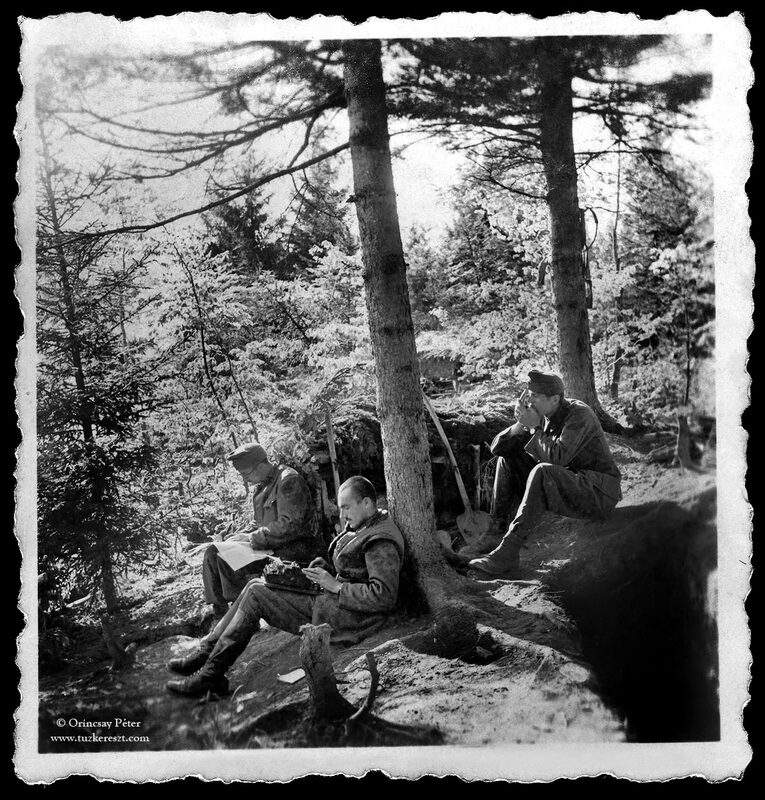 This small anonymous photograph of a group of Hungarian WW2 soldiers very much captures that feeling of rest and relax that solders in every armies, all over the world has done for centuries. Reading, writing and playing a tune that recalls the memories of home and the life away from the soldiers everyday duties.